At SUNY Oswego, I am developing a project focused on the behavioral ecology of Northern Cardinals and how they are affected by urbanization. Cardinals are excellent urban adapters, making use of bird feeders and habitat modification by humans. My research will explore behavioral changes in response to urbanization, and how this behavioral flexibility may allow cardinals to be so successful in human dominated landscapes. The project will involve regional fieldwork around Oswego and molecular genetics lab work. ARE YOU AN OSWEGO UNDERGRADUATE SEEKING ORNITHOLOGY RESEARCH EXPERIENCE? PLEASE CONTACT ME VIA EMAIL AND GET INVOLVED! In 2014, I received my PhD from Cornell University, where I studied how sexual selection influences speciation dynamics in the red-backed fairy-wren in Mike Webster's lab. This research entailed demographic studies of mating behavior in several wild populations, experimental manipulations, and genomic analyses. The project revealed strong sexual selection on divergent plumage color and song between two subspecies that results in complex genomic patterns of divergence and introgression. Much of this work is summarized nicely on Jente Ottenburgh's awesome Avian Hybrid Project website. 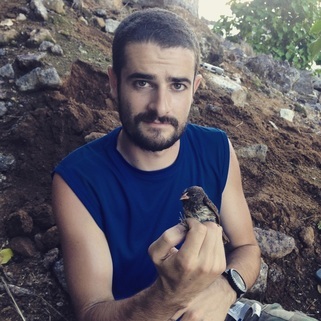 Subsequently, I was awarded an NSF Postdoctoral Research Fellowship to study the evolution of blood feeding in the vampire finch of the Galápagos. My home base for this project was Al Uy's lab at the University of Miami. For this research, I am quantifying ecological, behavioral, and genomic variation among blood-feeding and non-blood-feeding populations. I then became a Postdoctoral Research Associate in Christie Riehl's lab at Princeton University studying phenotypic plasticity in desert and woodland breeding populations of the Phainopepla in southern California. This research culminated in a paper combining GPS tracking, population genomics, and spatial analyses to document the bizarre life-history strategy of itinerant breeding in this species. My research is often motivated by bizarre natural history, which inevitably leads me to exciting and fruitful research projects!